I learned much this past weekend about life and friendships. I learned the importance of having friends that support you and back you when all else in your life falls apart. I learned that life does not always turn out as you plan, and that it can get even worse that you had ever imagined, but that it can also turn out even better than you had ever hoped. I learned that hearing from an old friend with whom you thought you had a falling out can bring back a flood of memories – good ones. I learned that crying to a friend about your problems can make everything seem bearable. I learned that life is not all sunshine and rainbows, but that the rain can be very beautiful. I learned the beauty of being humbled by the love and support of my friends. I saw her on the bus ride to work. I don’t know why, but she made my day. 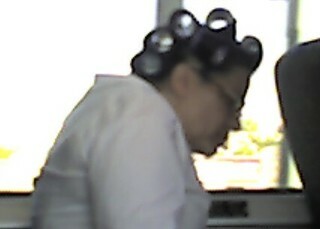 Any woman who can go around with curlers in her hair and not care who’s looking is cool in my book. My heart had been broken numerous times, but when S broke up with me, I felt like my life was over. I was twenty-five and hopeless. I could not imagine ever finding love again, and the thought of living a life without love (and without him) was just unbearable. I downed a whole bottle of pills, chased it with a bottle of scotch, and prayed for the pain to end. Miserably, I woke up the next morning and realized that I was still alive. Neither the pills nor the bottle of alcohol did anything memorable to me, except leave me with a hellish headache and a wretched stomach as tokens for my foolishness. S and I remained friends and in contact with another, but I continued to pine and long for him, even as I had entered other relationships, and I endured the pain of hearing of his relationships. He was the one against whom I compared every other guy. In my mind, no one even came close. For eight years, I closed off a part of myself and saved it for him. Stupidly, I cut off relationships whenever I felt as though they were close to surpassing S. I believed that he was my immortal beloved and that one day, he and I would be together again. I eventually married another, but continued to hold that hope in my heart that he would love me again. I had even contemplated leaving my husband at various times to follow my heart, which I thought had belonged to S.
I cannot even say when or how I had stopped. Eight years and several broken relationships later, I woke up and realized that I no longer felt that way about S. In fact, I realized that I did not feel anything at all for S, save maybe for friendly affection. Of late, he has been contacting me frequently, and has even been bringing up romantic memories of when we were together. He was well aware of my near decade-long obsession with him, and maybe he is aware that I no longer feel that way about him. Hindsight is always crystal clear, and I realize now that he had kept stringing me along all those years, throwing me a treat here and there to keep me following after him. He tells me now of how great things were between us and how wonderful of a girl I am. If I am so wonderful, why was he never with me? The truth is: he loved me for loyally following him around like a love-sick puppy. He loved that I was always there, waiting in the wings for him, waiting, waiting, always waiting. Yes, he did love me, but not enough to be with me. Alfredo: I’ll tell you a story. Just for you Toto. Let’s sit down. God Almighty! Once upon a time……a king gave a feast. The most beautiful princesses were there. A soldier who was standing guard saw the king’s daughter go by. She was the loveliest one, and he fell instantly in love. But what is a simple soldier next to the daughter of a king? One day he managed to see her and told her he could no longer live without her. The princess was so taken by the depth of his feeling that she said to the soldier: “If you can wait for 100 days and 100 nights under my balcony, I shall be yours.” With that, the soldier went and waited one day, two days……then ten, twenty. Each evening the princess looked out and he never moved! 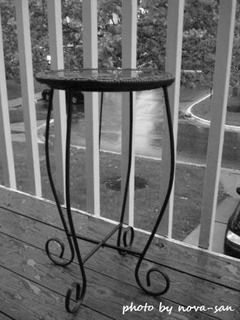 Always there, come rain, come thunder. Birds shat on his head, bees stung him, but didn’t budge. After 90 nights, he had become all dry and pale. Tears streamed from his eyes. He couldn’t hold them back. He didn’t even have the strength to sleep. And all that time, the princess watched him. When 99th night came……the soldier stood up, took his chair, and left. Toto: How come? Right at the end? Alfredo: Right at the end, Toto. Don’t ask me what it means, I don’t know. If you figure it out, you tell me. Toto: Remember the story about the soldier and the princess? Now I understand why the solider left right at the end. In one more night, the princess would have been his. But she also could not possibly have kept her promise. And that would have been too cruel. It would have killed him. This way, at least, for 99 nights, he was living under the illusion that she was there, waiting for him.